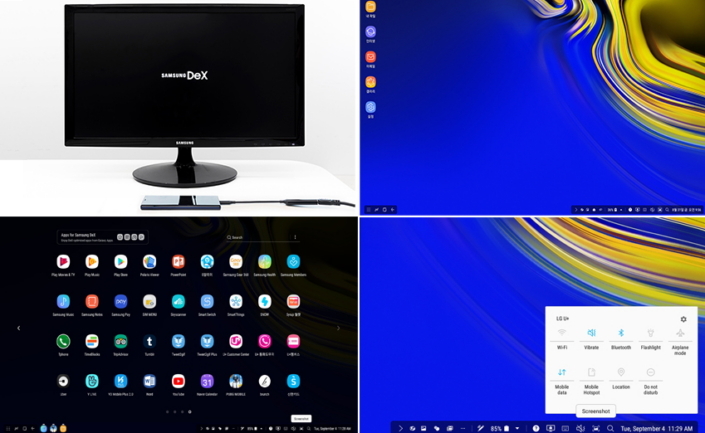 Samsung's Dex, A mobile productivity tool launched with the Galaxy S8 and compatible with the new Galaxy Note9 stands as a very effectual advantage for its mobile users enabling connection of the Galaxy smartphone to an external display for a PC-like productive experience powered entirely by the smartphone. With a simple setup and easy access to a smartphone's apps and files, The Dex allows for transformation of any environment into a workplace with its utility features. 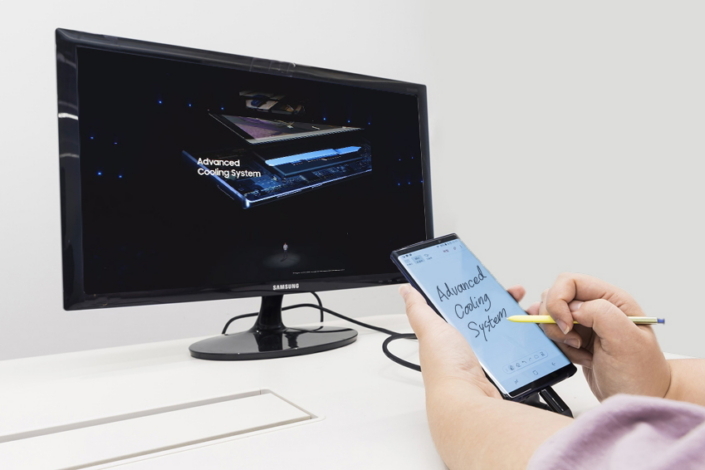 With a new support for easy-to-carry HDMI adapters and compatibility with the Galaxy Note9’s S Pen, mobile multi-tasking is made way easier with this tool. Designed for a mobile lifestyle, Dex features an Android-based, PC-like interface allowing users to seamlessly access apps on the phone while adding comfort to the viewing and editing of documents and presentations, watching of movies, mobile gaming and other activities. Its interface features optimized apps to let users get the best out of working on a larger display while using the smartphone with an easy to navigate interface which supports various keyboard and mouse shortcuts like scrolling, dropping and dragging. While plugged in to a larger screen, The Galaxy still functions as a smartphone offering productivity on a much more smaller device with the Dex app. It offers a range of simple ways of connection to a display, It features HDMI adapter connectivity as stated above along with the previously introduced DeX Station and DeX Pad systems. 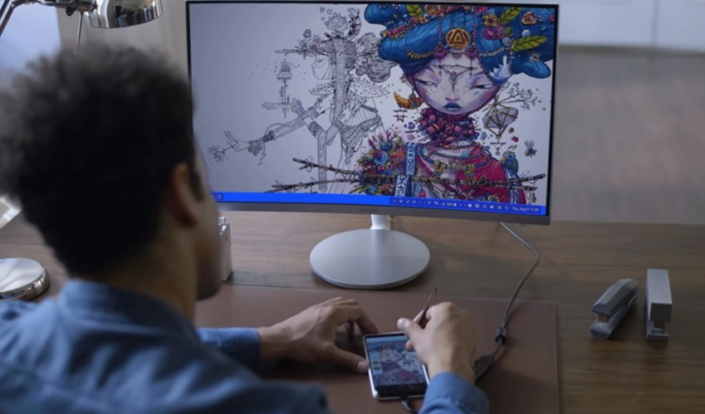 The DeX Station and the DeX Pad supports multiple screen resolutions for the software and can open more apps at once on the Dex tool which also supports use of other accessories including keyboards, mice, headsets and other peripherals. 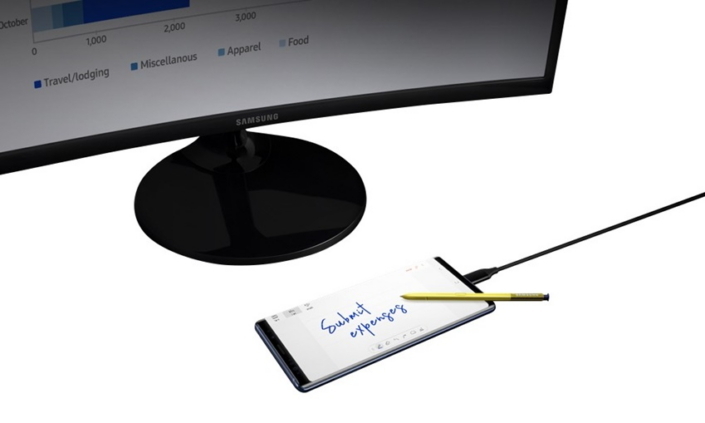 On the Galaxy Note9, It comes with more interesting ways for users to utilize the Dex tool with newly added connectivity sport, dual mode support for enhancement of multi-tasking and the S Pen’s deep DeX integration allowing access to a full range of capabilities while being a user-friendly clicker for presentation delivery on supported displays. The Dex software has nearly 80 strategic software partners boosting from 40 when it launched last year offering practical integrations for the user to enjoy the software much more better. Current partner integrations include Microsoft Office, Adobe, Blackberry, Hancom Office and several more. It also includes support for virtual desktop infrastructure (VDI) from the likes of VMware, Citrix, and AWS which enhances ability for business users. Compatibility for Dex has also now expanded to tablets with a new support for the Galaxy Tab S4 cementing its status as a go-to device for mobile productivity. The Dex tool stands as a very productive utilization of Samsung smartphones and is available for effective use as of every moment.